Though many pieces of real estate may appear to be very similar, no two are the same (just like snowflakes). A home will nearly always have idiosyncrasies that separate it from other properties, regardless of whether two properties share the same floor plan and design. Even tract homes are unique because their locations will always differ (you can’t build two homes in the same exact spot). That’s why builders will offer preferred lots that get scooped up faster than others, even if the homes are exactly the same otherwise. Variations in age, condition, location, and utility can yield different results, and often produce different home values as well. And sometimes a home may be perceived differently over time simply because of changes to the surrounding homes and neighborhood dynamic. When properties are built, they don’t always adhere to the standards of a given neighborhood, floor plan, or site design. When this happens, depreciation is caused by a loss of building utility, otherwise known as “functional obsolescence.” In other words, if a building has reduced usefulness due to poor design, the appraised value must be also reduced. Examples include buildings that are too big or lavish within a certain area, which is considered an overimprovement (superadequacy), or a property that is relatively small or poor compared to those around it, which is considered an underimprovement (deficiency). If a building is said to be out-of-place or poorly designed for its location, whether too nice or not nice enough, it could be considered functionally obsolete. And we all know what obsolete means; old-fashioned, out of style, passé. We also know what happens to such things – they become less sought after and lose value. If a property lacks a feature such as a sideyard, or only contains one bathroom despite having five bedrooms, functional obsolescence occurs. The same goes for a bedroom within a bedroom, or a home with no bathrooms downstairs. Keep in mind that it can be curable or incurable, depending on the situation. If it’s possible to tear out a wall or add a room, assuming the cost is less than the value benefit, it’s considered curable. Incurable obsolescence is typically defined as an overimprovement, such as an oversized master bedroom, which will suffer value loss whether kept intact or removed. 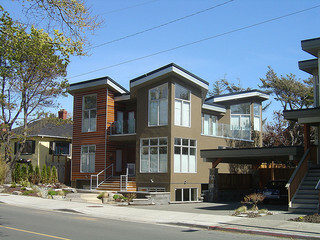 The modern mansion you see pictured above next to a tiny old home could be a negative initially because it’s not typical for the area, but over time the other homes may conform to the new style. However, this could pose a problem for appraisers early on as they’ll have nothing to compare the subject property to. That’s why people say not to buy the most expensive home in the neighborhood. It’s also common for certain design features in a home to become obsolete over time. Think items that you’d just assume get rid of when you moved in, which are more a headache than a value-add. But if they can be easily changed, think laminate countertops and linoleum floors, then they aren’t really considered functionally obsolete, just dated. They are more an eyesore than anything else, even if the seller or real estate agent highlights them as some sort of benefit. Sure, speaker rocks were cool in the 1990s, but now they’re just another thing that has to be thrown out (along with all the wires!). Then there’s “economic obsolescence,” also referred to as environmental, external, or location obsolescence, which is a type of depreciation that occurs outside the subject property. Typically, this form of obsolescence occurs sometime after the property is built, as the environment around the home changes. Examples include airport noise, toxic waste, nuclear power plants, freeway noise, dust and air pollens, changes in zoning, and more. 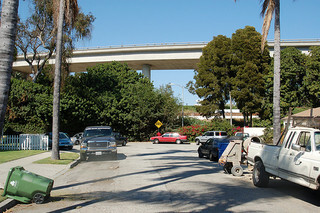 For this reason, properties located next to the freeway or under a flight path will experience reductions in value. Some even argue that economic obsolescence occurs when market demand shifts. Consider a home in the suburbs. If the next generation of home buyers wants to live in or near the city center, obsolescence can occur. Most economic obsolescence is incurable, mainly because it is out of the control of the owner of the subject property, and any effort to cure such a problem would be very costly and value depleting. In summary, it’s important to understand obsolescence and the effect it can have on the value of your home. Often times appraisers will note some kind of obsolescence in their report, which can make financing very difficult. In fact, some lenders may decline your mortgage application if they find obsolescence on the appraisal report that they feel is a detriment to the value of the property. Consider all this when selecting a piece of property, as issues even miles away can pose a threat to the value of your home.